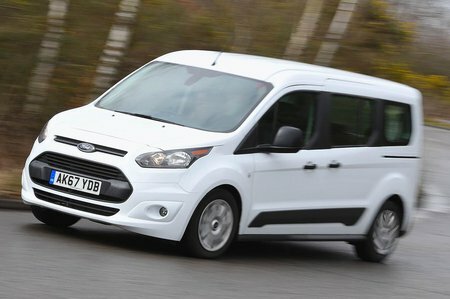 Ford Tourneo Connect Performance, Engine, Ride, Handling | What Car? There is a petrol option of the Tourneo Connect, but we have yet to try it. And because it’s a 1.0-litre three-cylinder unit with only 99bhp, it’s unlikely to be sprightly. The 1.5-litre diesel comes in two states of tune: 99bhp and 118bhp. So far, we’ve driven only the pokier version – yet we’re duty-bound to report that sadly there’s not much poke from this. It’s fine if you’re simply ambling around town, but get it on the motorway and you’ll discover precious little oomph below 2000rpm and breathlessness above 4000rpm, leaving just a narrow band of supine surge in-between. 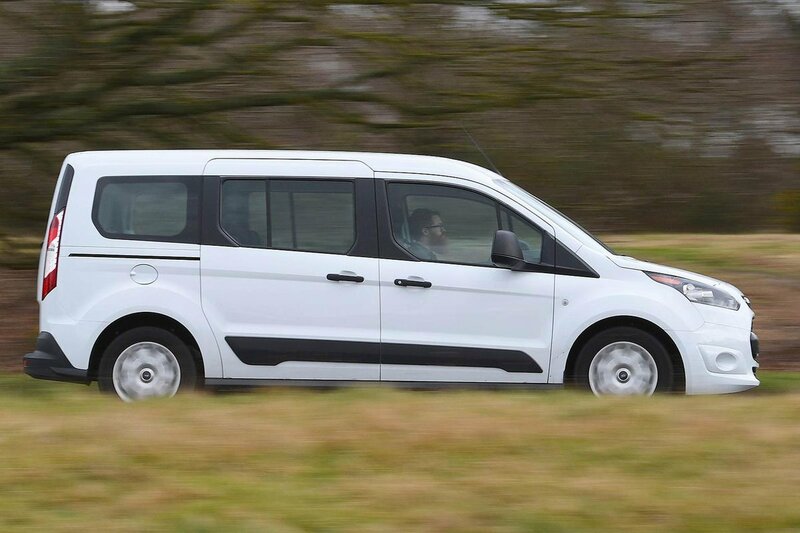 Ford claims a lacklustre 0-62mph time of 12.6sec – and bear in mind that’s before you’ve filled it to the gunwales with people and things. It’s far from the roughest diesel in the world, but it’s grumblier than a Volkswagen Touran’s or Citroën Grand C4 Spacetourer’s and transmits more vibrations into the interior controls. Mind you, the six-speed manual gearbox that’s standard with the 118bhp engine is a gem, feeling lovely and precise to use with its pleasingly short throw. The petrol model also gets this transmission, while the 99bhp diesel unit comes with a five-speed manual. Both diesels have the option of a six-speed auto ’box. The clutch and brakes are progressive, so it’s easy to avoid an unseemly kangaroo impression in stop-start traffic. 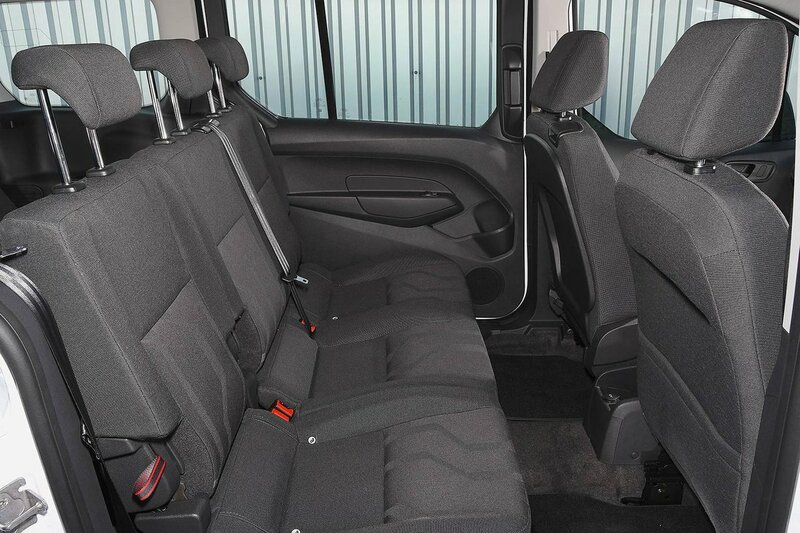 But you’re not that well insulated at speed from road noise inside and the big door mirrors whip up the wind outside; so, again, for high-speed cruising a Touran is a far more cultured steed. And the Tourneo Connect wouldn’t see which way the Touran went down a twisting country road, either. Where the Touran is surprisingly nimble and tied down for a boxy MPV, the Tourneo Connect sways about to greater excess and quickly runs out of front-end grip. And while the steering feels light for town driving, at speed it’s inconsistently weighted and vague around the straight ahead, so in motorway crosswinds you have a fair old job of keeping it steady in the centre of your lane. How does Tourneo Connect ride? Well, it’s relatively soft and more compliant than the lumpy Renault Grand Scenic, so over general uneven roads it’s not too bad. But throw in something more complex, such as a sharp ridge or pothole, and it thuds markedly, while pimply sections of motorway set up a consistent shimmy. Neither issue is so apparent in a Touran.